Wind: 3-8 knots, with gust up to 13 knots around 3:30 PM. Comment: Great day to be at the Gliderport. The sentiment of the day seemed to be that there were good thermals, but they were hard to find, hard stay in, and short lived. I saw an 8 knot rise for a moment, but could not keep it. I released at 2500' MSL because I was in great lift and close to the gliderport if lift failed, then worked up a few hundred feet higher. It was pretty much the same story for all of us, except those that could get to the ridge could work the lift there. I ventured as far west as had ever been, which really was not that far. Worked the lift for a while, then could not find any. Headed back towards the gliderport while I still had altitude to spare. Caught a few more thermals on the way back. 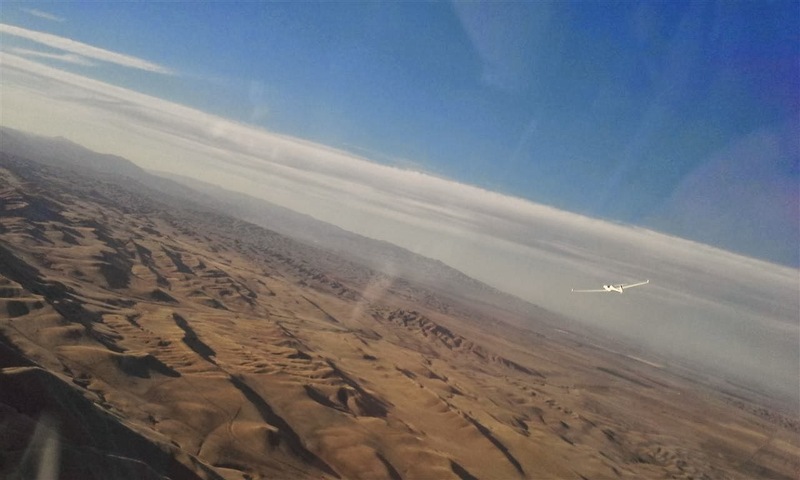 As I was calling it quits and heading to the IP, I saw another glider about a mile west of me that was getting good lift. The clock was closing in on 4:00 and the lift was getting so sporadic it didn't even tempt me. High sink was getting more common than lift--what goes up must come down?? Early in the day Pancho and Jerry take the Libelle out of the trailer and assemble it. Several people worked on their sailplanes today. 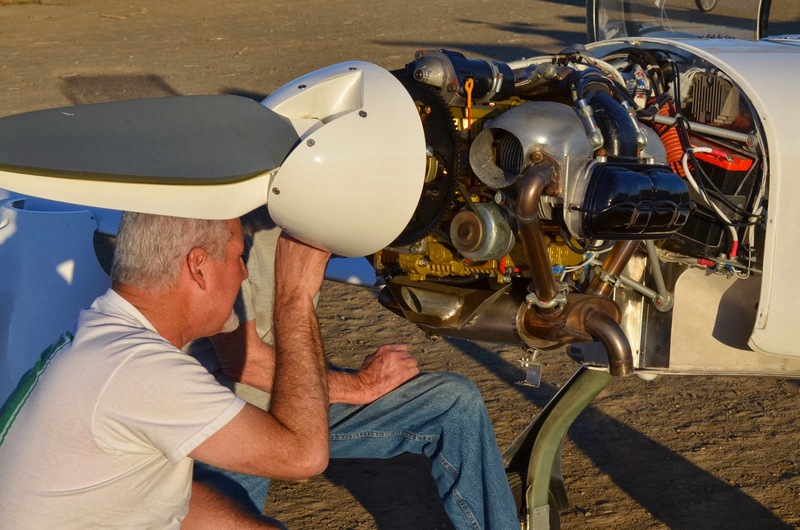 Pancho and Jerry spent the day working on their Libelle. 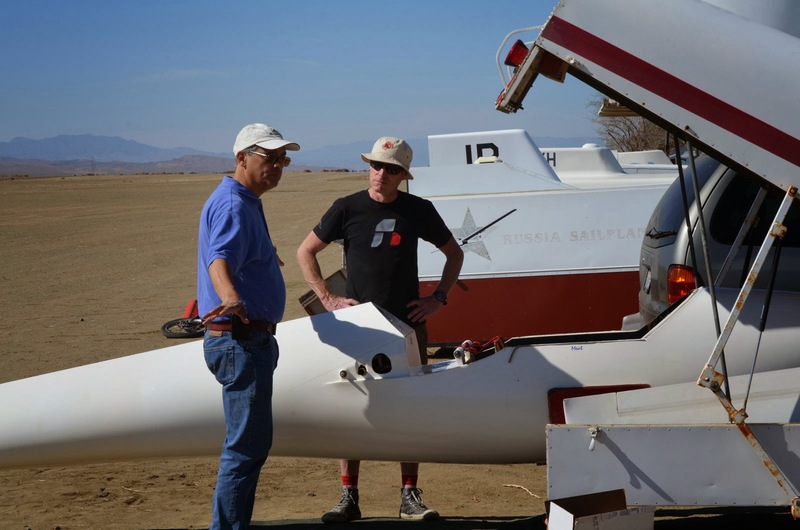 Andy Reistetter also worked on his own sailplane but did not take it up. 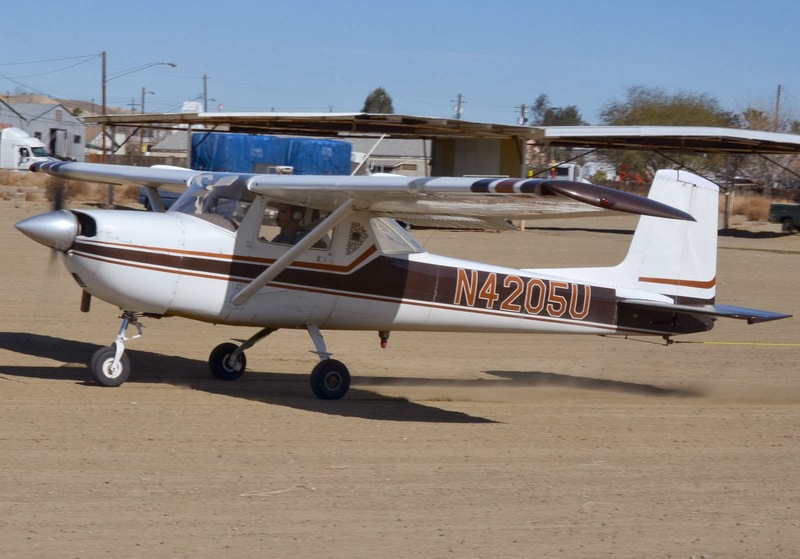 Mike Paoli did two flights with Harold, practicing for his Commercial checkride. 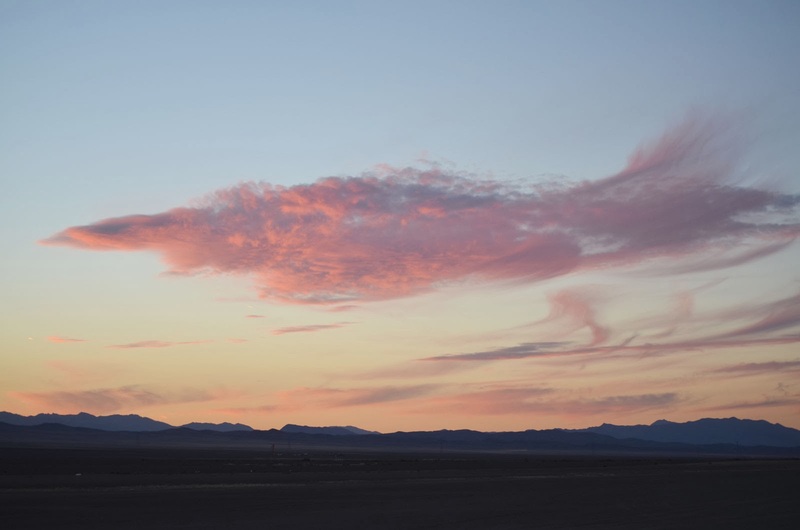 Richard Walker released at 3300' and got up to 3700,' giving him a chance to "play around." 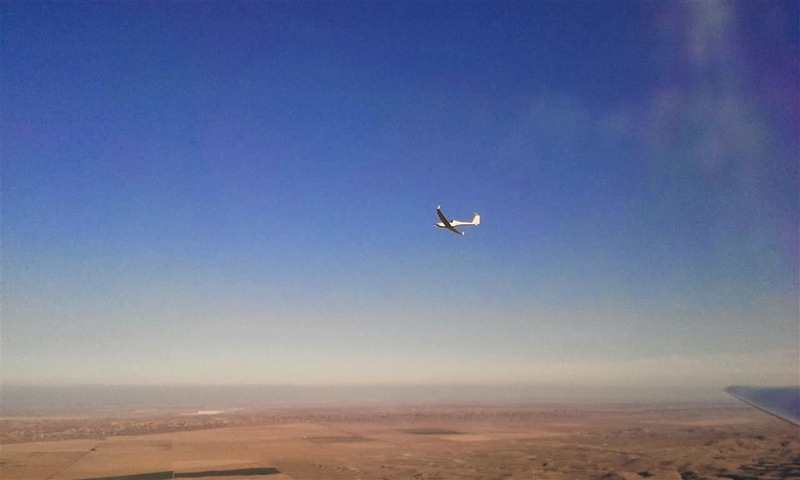 Carl did two flights in the 1-26, and he "touched 4000 feet." 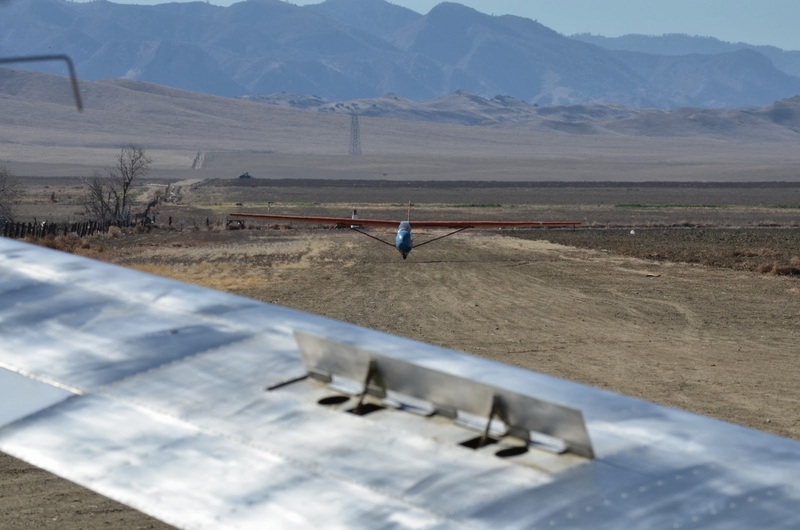 Dan Gudgel and Dan Clark wait their turn as Carl Engel begins his takeoff roll. Carl a few seconds later. 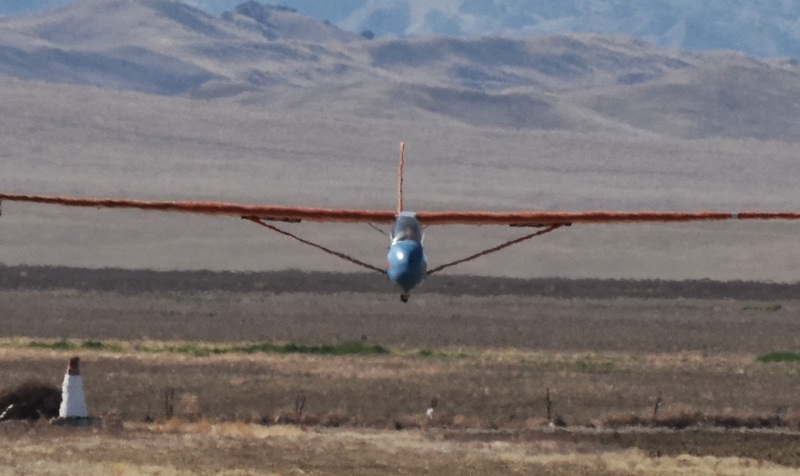 Notice his right aileron to counteract the left wing low. Everybody wanting thermals, click on this next picture to enlarge it to see the convection distorting the image. 2:11 PM, the 22nd of February. Amazing. Enlarge and look close in the landing area of Runway 13, and you can see mirages. Dan Clark got 8 flights in today, most of them with instructor Dan Gudgel. 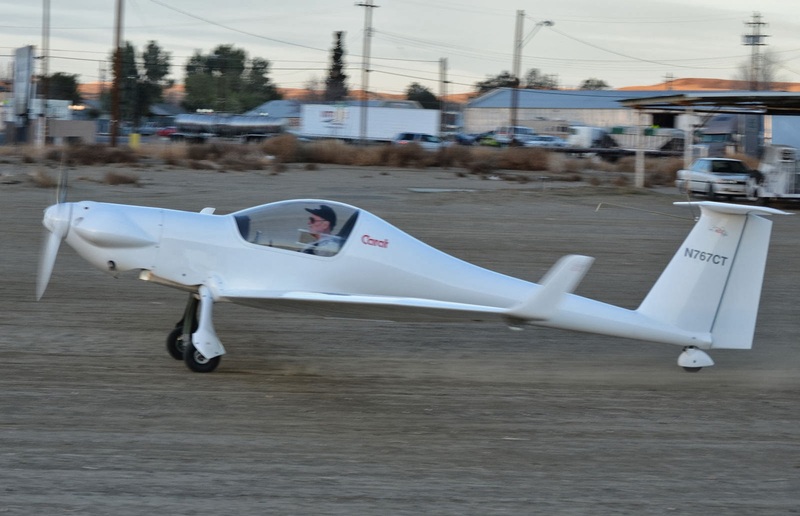 Dan Clark had not flown for a while, and said it was good to get out again. He was able to find a little bit of lift, and really enjoyed the beautiful day. Dan Clark about 1 foot off the ground. Dan Gudgel was demonstrating landings to Dan Clark. Instructor Dan is doing this landing. Yes, a long lens does compress apparent depth, but even keeping that in mind, this still looks ominous, as the tire is still about three inches away from the dirt. 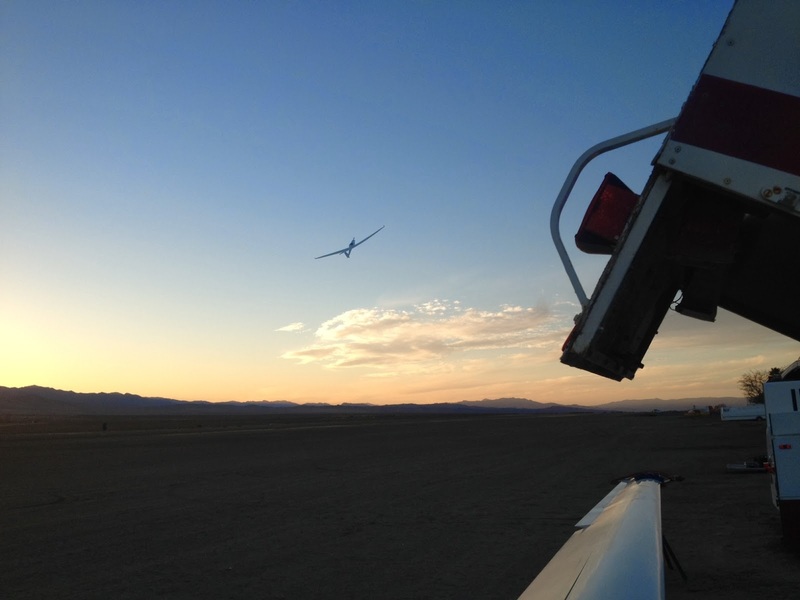 Of course, Dan G. had the glider stopped exactly where he planned on it coming to rest. Later in the day it did get more hazy. This picture was taken at about 2500' MSL, while last weeks picture was taken about 1000' higher. Visibility down low was better than last week. 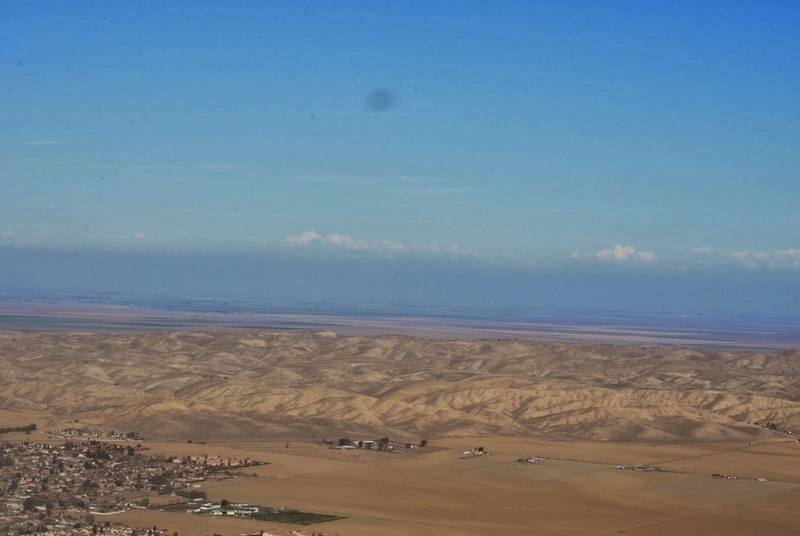 Some cumulus buildups can be seen over the Sierras, and if you look closely, the mountains themselves can just barely be discerned. Alex Caldwell dusted off his Nimbus that had been hidden in the trailer for too long. 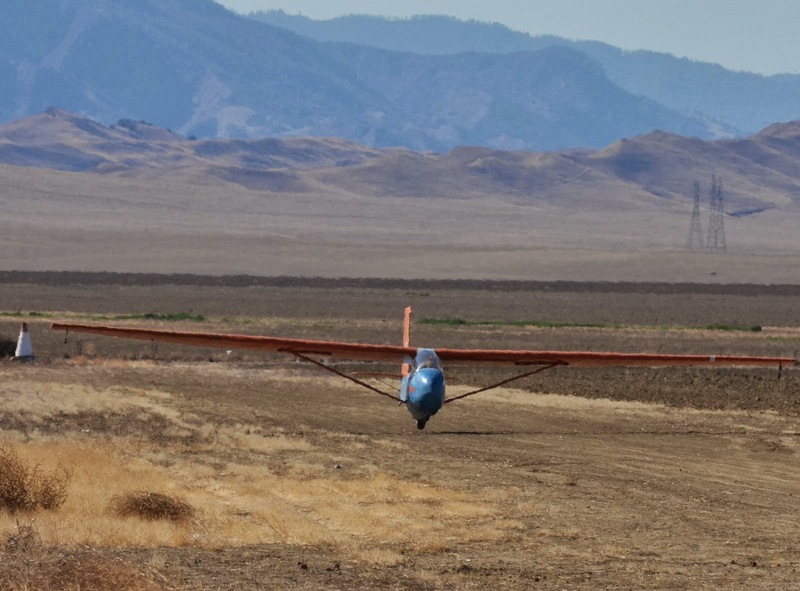 He did not venture too far--south to highway 41 and north almost to New Coalinga, but he was able to stay up about 2 hours in his graceful Nimbus. Unfortunately, I did not capture an image if it in flight--it is a nice looking bird. Alex is getting help disassembling his Nimbus to put back into the trailer. Jan Zanutto took his bird up, and got in a 2-1/2 hour flight, mostly on the ridge at Tar, going from "bump to bump." There were some strong localized thermals at the power lines, very narrow and a lot of work to stay in them. At the end of his flight he found that the ridge was working and had a lot of fun there. 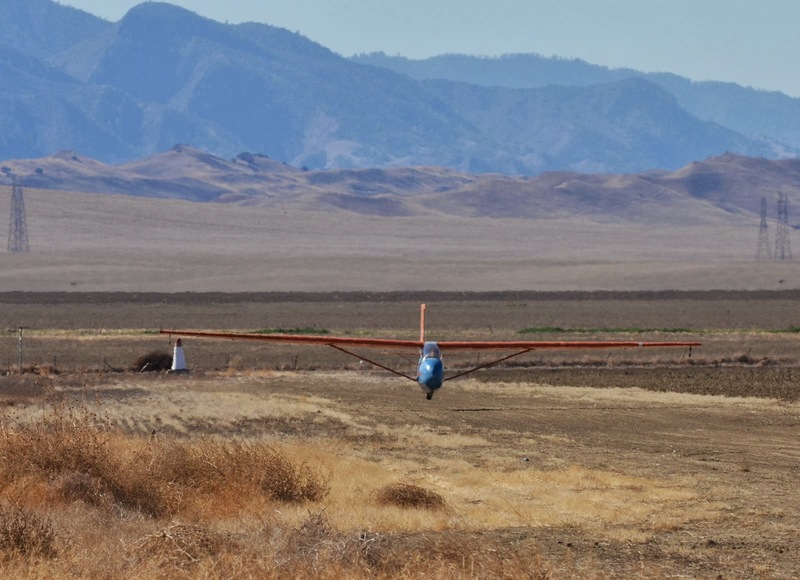 He was joined at the ridge by a Carat motorglider from the Bay Area, who was inbound to Avenal for Jan to look at the engine. You can see Jan's YouTube video here. Oliver Dyer-Bennet flew the Carat in. 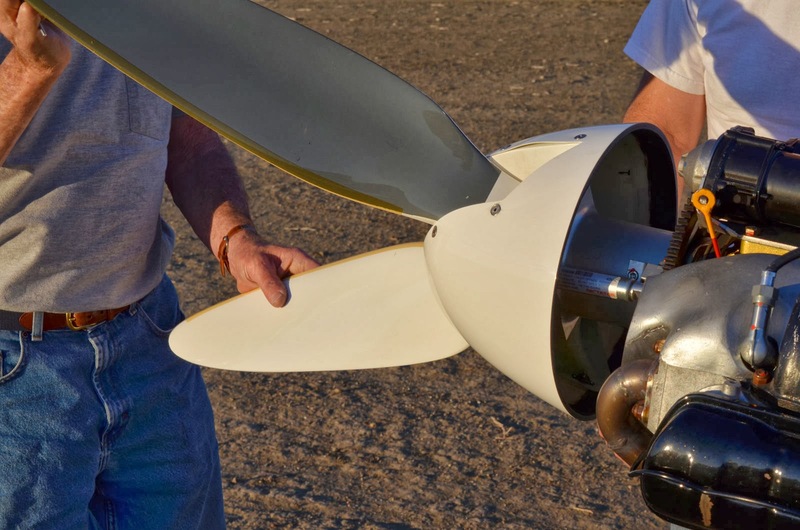 He stated that it uses the wings and tail of Discus, merged to a fuselage with a racing plane concept. Oliver stated that the Discus wings were the best 15 meter racing wings ever designed. 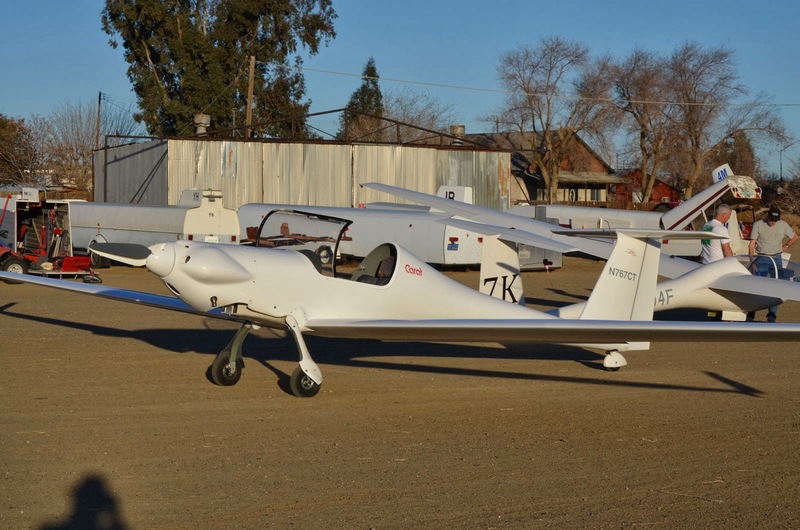 "It is a super efficient power plane, and is also a good sailplane." 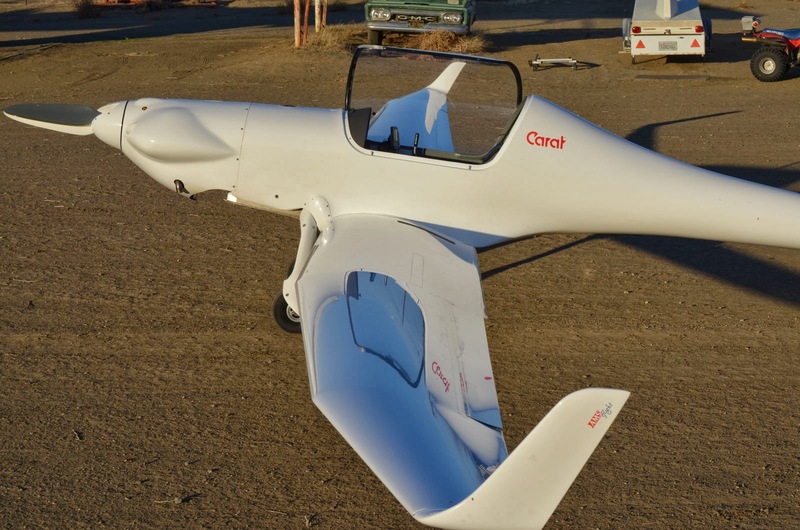 To read more about the Carat go this Wikipedia article or this AMS Flight page. The landing gear folds forward into the engine cowl. 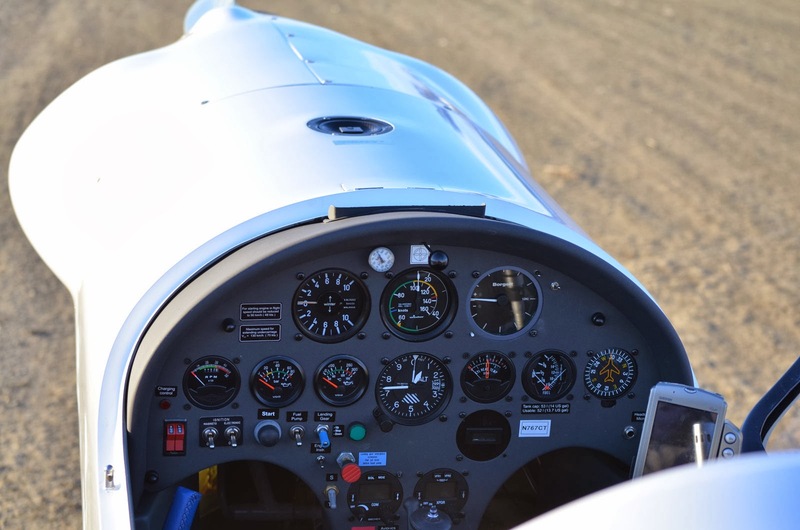 A few more instruments than your standard sailplane. Jan Zanutto looks the engine over. Oliver demonstrates how the prop unfolds when the motor is running. Loading on the propeller pivots the blades a little bit forward during takeoff. Oliver is makes a low pass after before he departs. 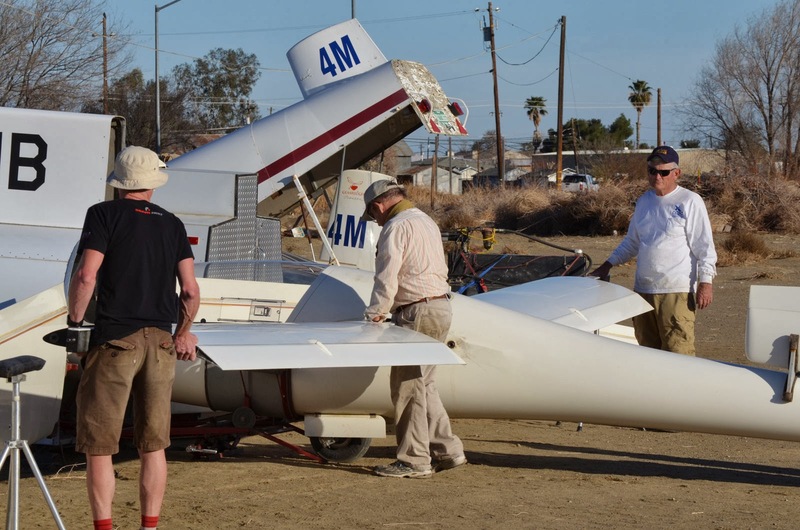 As the first image of the day was Pancho taking the glider out of the trailer and assembling it, it seems fitting to close with him taking it apart and putting it back away. 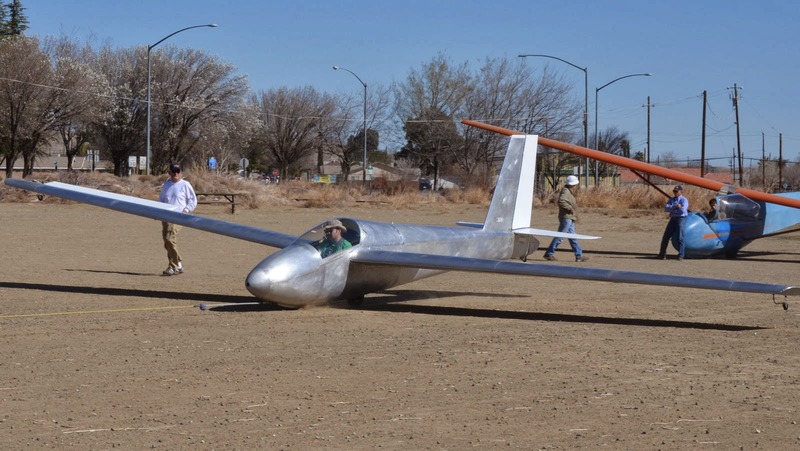 Unfortunately, there is still some work to be done on it, so he did not fly it today. But the day is soon coming when it will fly! The street lights are on, time to call it a day. 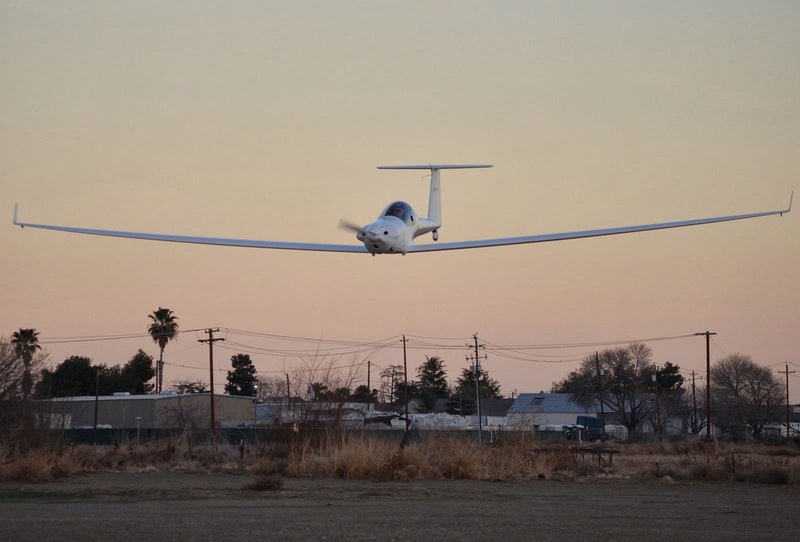 The good day at Avenal Gliderport is now over.